I went to church today. One of the teachers in my school offered to take me, so I accepted. It turns out they go to a presbyterian church right behind my house, so the car ride latest about 1 minute :). No I won't walk. Why? Because its 100 degrees outside. The church service was really great. And exactly like one you would find in America! They even had a band (drum set, electric guitars, egg shakers, the whole shebang) and were playing Katina songs! I saw a baptism, heard a sermon, and watched in awe as 20 people danced around waving brightly colored flags :}. So, although it all sounds crazy, I loved it. I was introduced to some girls in the youth group. These were their introductions: Keep in mind I am still in Muscat, Oman. "Hi I'm Jacomina I'm from South Africa." "Hi I'm Peggy I'm from England." "Hi I'm Kamala I'm from India." I was again, in awe. 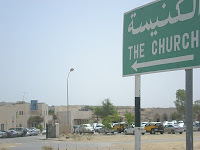 This church included people of all nations who live in Muscat, Oman. 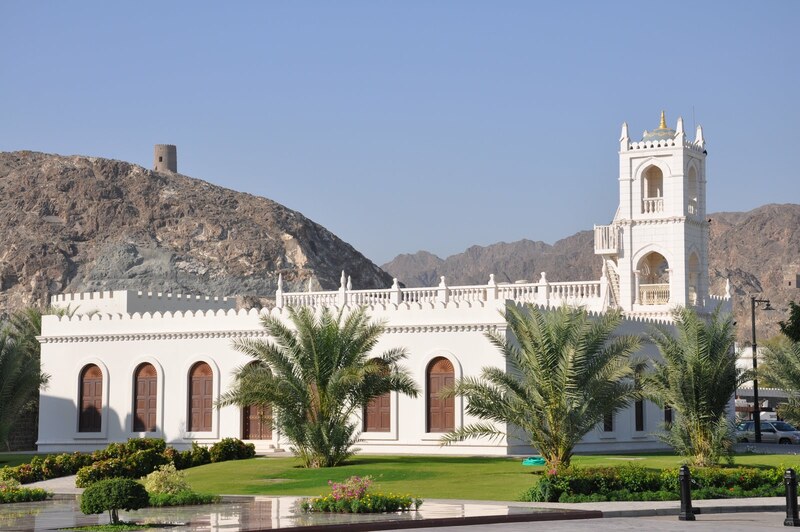 Because the majority of the population of Oman is Muslim, I didn't see any Omanis I could distinctly recognize. Although, no one was wearing their dishdashas or abayas. Quick Fact: All the Churches are in the same plot of area because the government will not allow worship of other religions outside this designated area. This is rule is generally respected. P.S. Because the weekend is on Thurday and Friday, "Sunday" Church for me is now Friday Church.